It was a wonderful opera evening. 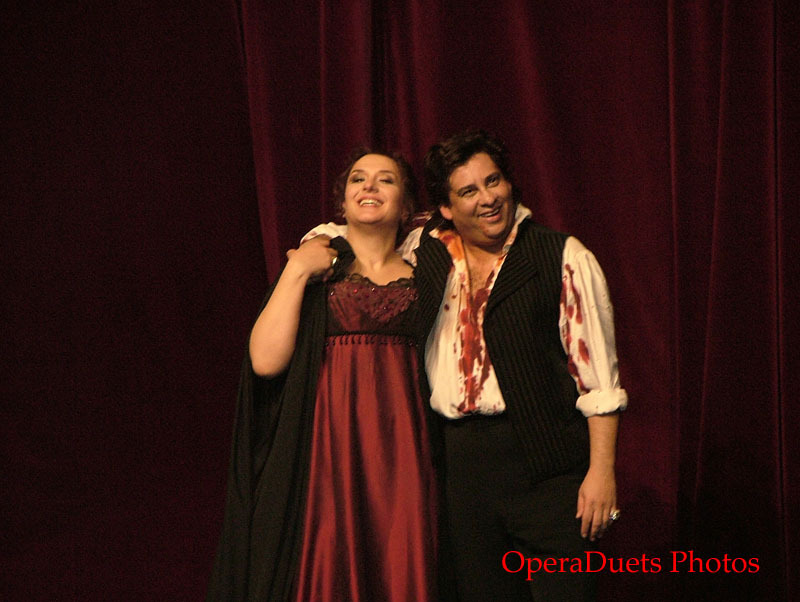 Ruggero Raimondi was a great Scarpia, Marcelo Alvarez was wonderful as Cavaradossi and so was Norma Fantini as Tosca. The disappointment was the conductor Nello Santi who was almost killing the beautiful music, Tosca was mostly played painfully slow with sudden unreasoned faster parts. The Regie by Gilbert Deflo was not helping, as awkward moments in act 1. And deciding that Tosca would shoot herself rather that leaping from the Castello was really bad. 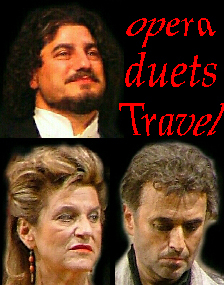 Especially since both the shooting of Cavaradossi and later by Tosca was really too quiet. Not that one could not hear it but it didn't even hit our nerves. The scenography by Ezio Frigerio was probably one reason it was sometimes hard to hear the singers. The glass walls was just not reflecting the sound but it was giving reflects of the singers and the monitors which was a bit disturbing. And then there so not a huge or even big painting of Maria Magdalen, just some painters papers which really make the acting much more harder to do realistically. After the opera, no Ruggero Raimondi in sight but delightful Marcelo Alvarez and the nicest soprano of all, Norma Fantini made the evening perfect. Marcelo Alvarez was most generous tenor meeting his fans and making everybody enjoy it deeply. And Norma Fantini was the warmest and nicest person you could meet. At the stage door a huge success for the fans. And I could go to the hotel with a big smile in my face. NORMA FANTINI, the power of nice!!! !